Your company must be prepared to interact with your customers on Twitter. Luckily, the 140-character platform has made it easy to have conversations with anyone who reaches out to your company. For example, you can have private conversations over direct message without the character count constraint. This means that when someone reaches out to your customer service team, you can quickly and easily respond with text, links, and photos to help them. Your reps also need to be able to keep tabs on overall sentiments on Twitter about your company. Using Advanced Search, you can find out how happy your customers are — you can even search using emojis. 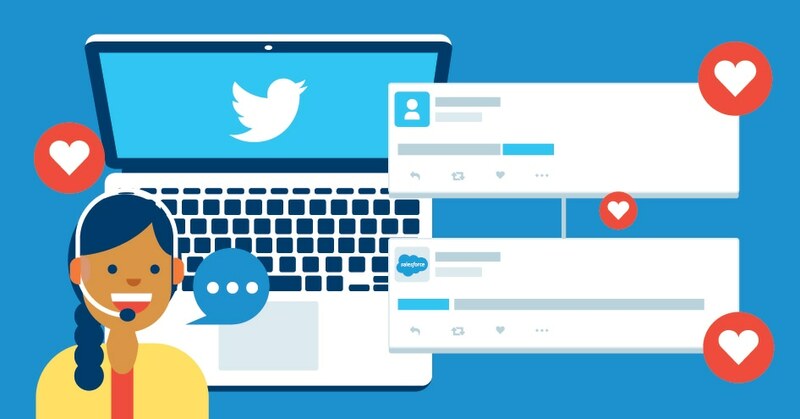 It’s important to put the time and energy into your Twitter customer service, especially since companies that use the site as a social care channel can see a 19 per cent increase in customer satisfaction. Furthermore, businesses with a dedicated service handle see a 10-times-better response. With a better response comes higher customer satisfaction, and with the tips in the infographic below, you can improve your Twitter customer service. Ready to improve your customer satisfaction even more? Service Cloud is your proven solution.